Nominations for the Devotion Music Awards 2017 were announced by the Vietnam News Agency’s The Thao & Van Hoa (Sport and Culture) newspaper in Hanoi on February 22. The annual devotion music award aims to honour the country’s musicians and artists for their contributions to music. Addressing the event to announce the nominations, Editor-in-Chief of the newspaper Le Xuan Thanh said this year, the award has a new category “Best producer of the Year”. Nominations for this new category include Khac Hung, Do Hieu, Hong Kien, Hoai Sa, and Quoc Trung. 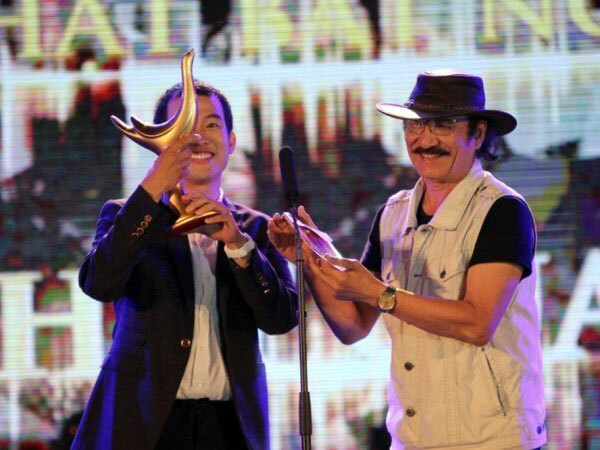 The category for “Best Music Video of the Year” has five contenders, comprising “Banh troi nuoc” by Hoang Thuy Linh and Ho Hoai Anh; “Bong bong bang bang”, covered by 365 Group; “Cause I love you” by Noo Phuoc Thinh – Do Hieu; and “Gui anh xa nho” by Bich Phuong – Tien Cookie; and “Phia sau mot co gai” by Soobin Hoang Son – Tien Cookie. “Gui anh xa nho” by Bich Phuong – Do Hieu, “Mo” by Vu Cat Tuong; “Sau tat ca” by Erik – Khac Hung; “Tu su tuoi 25” by Truong Thao Nhi; and “Ong ba anh” by Le Thien Hieu will complete for the Best Song of the Year award. The category for the New Artist of the Year has five nominations, namely Erik, Le Thien Hieu, Truong Thao Nhi, Soobin Hoang Son, and Hoang Rob. “Ban nguyen” by Tran Thu Ha, “Sings the Golden Oldies” by Dinh Huong, “Gui nguoi yeu cu” by Ho Ngoc Ha, “Thang cuoi” by Saxophone Tran Manh Tuan, and “Trong” by Nguyen Thu Hang will vie for the Best Album of the Year. Meanwhile, “In the Spotlight, Monsoon Music Festival, “Bai hat hay nhat” (Sing My Song), “Hoa am anh sang” (The Remix), “Giong hat Viet nhi” (the Voice Kid) are nominated for the Best Music Programme Series award. The music programmes nominated for the Best Television Music Show award are “Bon mua trong em” by Nguyen Ngoc Anh, “Doi ban tay thap lua” by Buc Tuong; “Funring Day 2016 – Noo Phuoc Thinh Live Concert”; “It’s Show Time Liveshow” by Dong Nhi; “Love Song” by Ho Ngoc Ha; “Nau nong” by Ha Anh Tuan; and “Tren dinh phu van” by Pho Duc Phuong. Nominees for Best Musician of the Year are Tien Cookie, Do Hieu, Khac Hung, Hong Kien and Tran Manh Tuan. Divas Tran Thu Ha, Ho Ngoc Ha, Dong Nhi, Noo Phuoc Thinh and Ha Anh Tuan are nominated for Best Singer of the Year. The Devotion Music Awards were first launched in 2004 by the Sport and Culture newspaper. The award ceremony will take place in Ho Chi Minh City in April./.